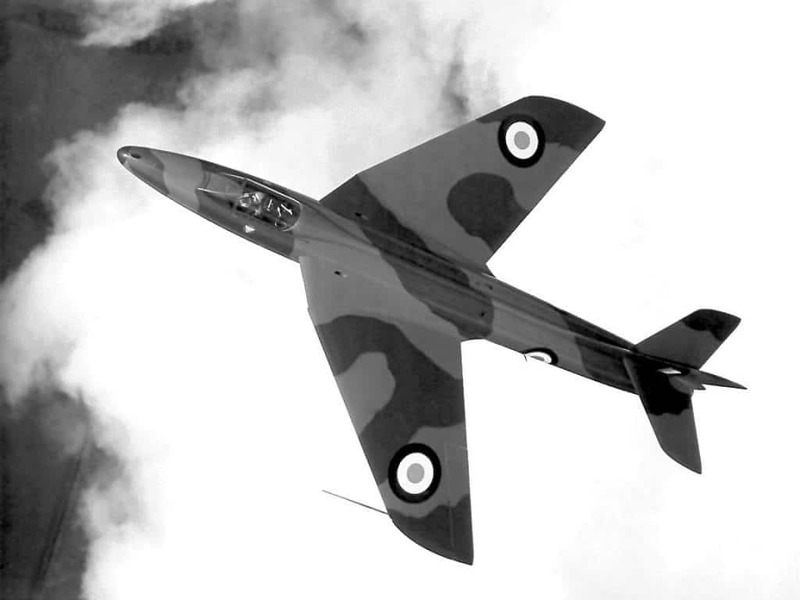 The single-seat Hunter was introduced to service in 1954 as a manoeuvrable day interceptor aircraft, quickly succeeding first-generation jet fighters in RAF service such as the Gloster Meteor and the de Havilland Venom. The all-weather/night fighter role was filled by the Gloster Javelin. 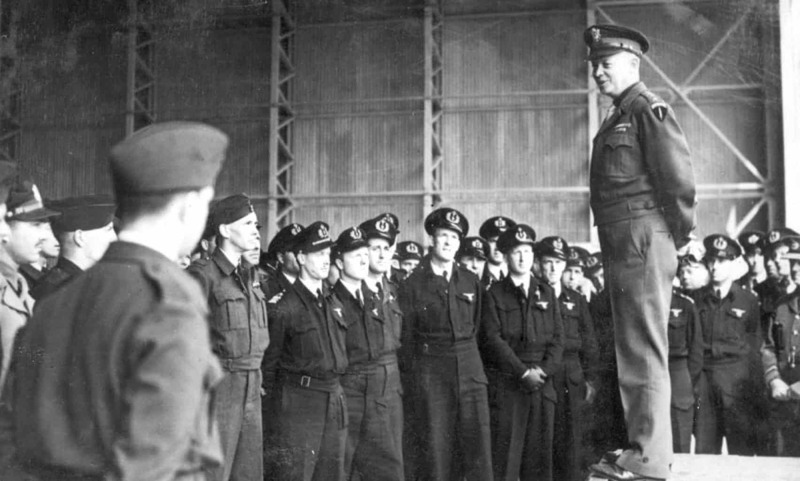 Successively improved variants of the type were produced, adopting increasingly more capable engine models and expanding its fuel capacity amongst other modifications being implemented. 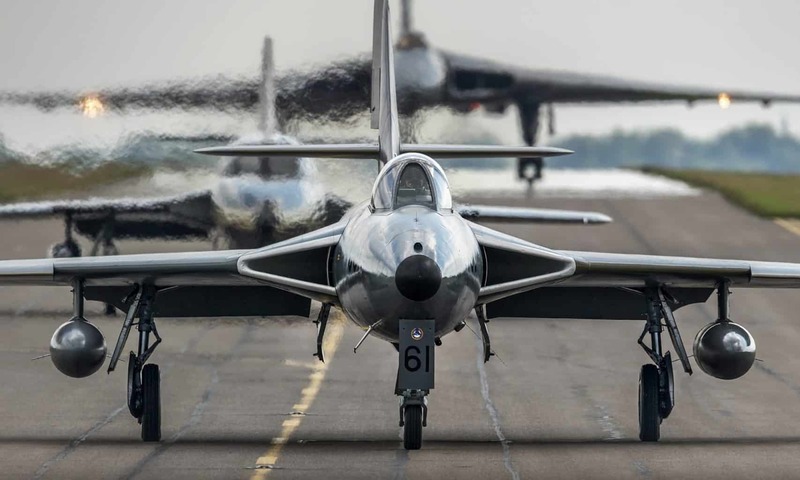 Hunters were also used by two RAF display teams: the “Black Arrows”, who on one occasion looped a record-breaking 24 Hunters in formation, and later the “Blue Diamonds”, who flew 16 aircraft. 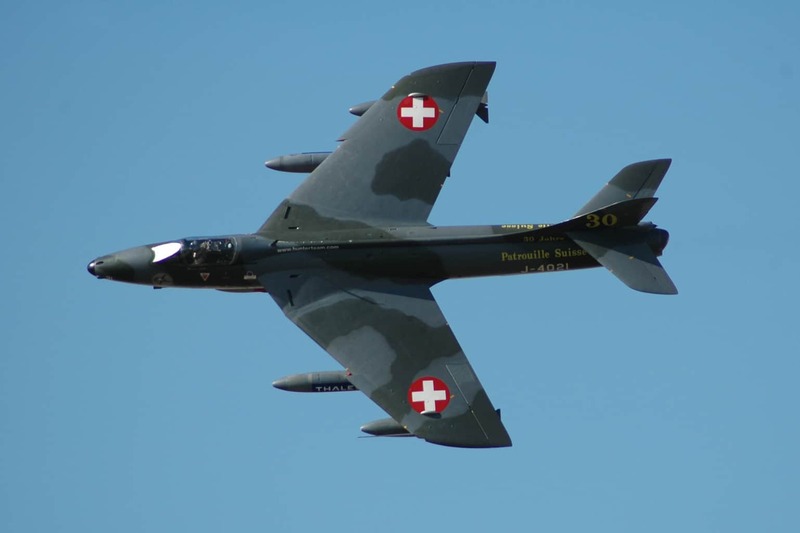 The Hunter was also widely exported, serving with a total of 21 overseas air forces. The Hunter saw combat service in a range of conflicts with several operators, including the Suez Crisis, the Aden Emergency, the Sino-Indian War, the Indo-Pakistani War of 1965, the Indo-Pakistani War of 1971, the Rhodesian Bush War, the Second Congo War, the Six-Day War, the War of Attrition, the Yom Kippur War, and the 2007 Lebanon conflict. Overall, 1,972 Hunters were manufactured by Hawker Aircraft and its successor, Hawker Siddeley, as well as being produced under licence overseas. In British service, the Hunter was replaced in its principal roles by the Lightning, the Hawker Siddeley Harrier and the McDonnell Douglas F-4 Phantom II. For a comprehensive history of the Hunter.